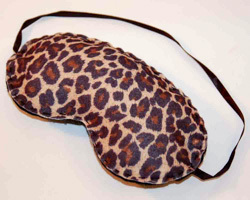 A sleep mask for Mom! What a wonderful and unique gift, and it is handmade! By giving this to your mom you will encourage her to take a well deserved afternoon nap. It blocks out ALL the light and really allows her to drift away in a peaceful slumber. They are also great to slip on in the early morning, when you aren't ready to get up yet but the sunlit room is bothering you. I really have found these make naps so peaceful! Your mom will love it! These usually sell in stores for around $10, but you can make your own for less than 50 cents. 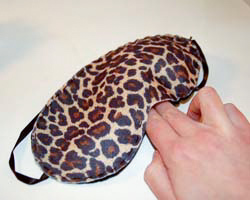 The sleep mask is made out of felt. They now sell a lot of different, fun prints on felt sheets. I found this animal print and couldn't resist. This is a great craft for older children that may have just learned to sew. 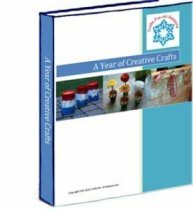 It is an extremely easy and fast craft to put together, and they will get to practice their sewing skills. 1. 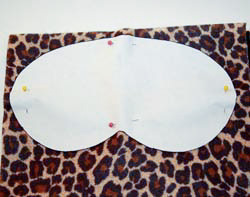 Begin with printing out the sleep mask pattern by clicking on the link. A new window will open and Adobe Reader will open so you can print the mask pattern. Once you have it, cut it out. Pin this pattern on the two pieces of felt stacked together. 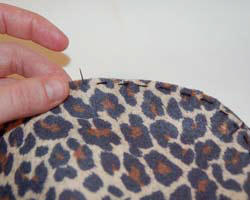 Use some pins to secure the pattern. Then carefully cut the two felt pieces out around the paper pattern. 2. Unpin the paper from the two felt pieces. 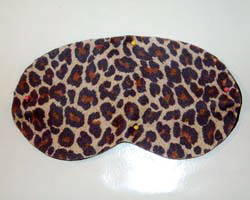 Lie the two sleep mask felt pieces on top of one another (right sides facing out) and pin them together again. 3. Cut the elastic band to a length that fits snugly around an adult's head, or use black satin ribbon, that be tied around the head. Place the end of the band in between the two felt pieces near each end of the mask. Sew this together in place with the needle and thread. 4. 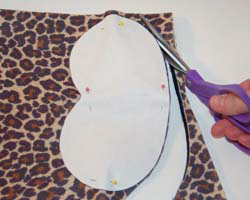 Now begin sewing, a basic stitch, all around the edges of the mask. It is OK if the stitches show. If you use a contrasting color thread this will actually look nice. A sewing machine can also be used. 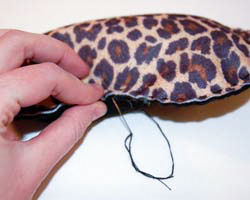 Stop sewing by the bottom of the mask between the eyes, and leave an opening. 5. Now add a small amount of fiberfill to the opening. Push the fiberfill back into the mask and spread it with your fingers. 6. 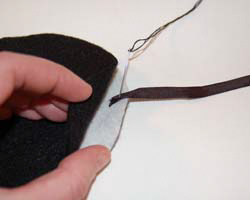 Once the fiberfill is added, sew up the opening. 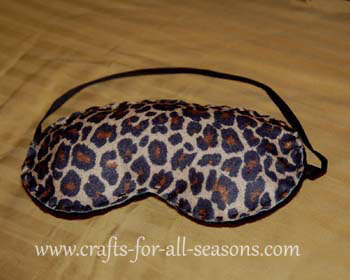 The sleep mask is now ready to wear.